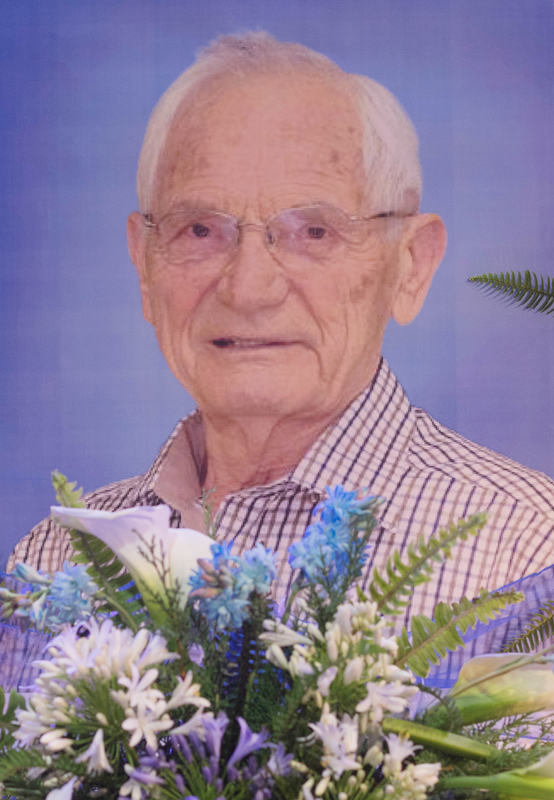 Late Dr. Jakob Weiss has been part of the Bank of PNG and the country for so long. 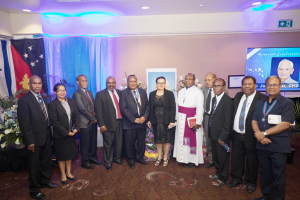 Some words to describe Dr Weiss that come to mind are economist, educator, mentor, consultant, advisor, and diplomat – for he was one and all of those during his long, distinguished and varied career with the Bank of PNG and PNG. Perhaps, in recalling his association with BPNG, we would get a better description of him and at the same time pay a fitting tribute to him. It all began some 30 years ago when the first Governor of the Bank of PNG, Sir Henry ToRobert, saw the need to build up staff capacity at the Central Bank. During the annual IMF/World Bank meetings in Washington, DC, he made a request for assistance from the IMF. The IMF identified and seconded Dr. Jakob Weiss, a central banking specialist from the Bank of Israel to head the Economics department at the Bank of PNG. Dr. Weiss was then the Head of the Research department at the Bank of Israel. He had a well-rounded central banking resume, having been educated in Israel and the US. Apart from having taught at universities in Israel, UK and USA, he had worked at the Board of the US Federal Reserve and the Bank of Israel. Dr. Weiss first term of engagement at Bank of PNG was from 1988 to 1994. He came with his wife and youngest daughter and took up residence at the Pacific View apartments, at 2-mile hill. This was remarkable when many consultants were reluctant to bring their families to live in PNG given their perceived view on the law and order situation at that time. In fact, in later years, the IMF resident representatives would come with a bullet-proof armored vehicle and stationed their families in Australia. But that was not for Dr. Weiss. He made the effort to get to know the country and its people. And from that, began a long and distinguished career and relationship with the Bank of PNG and PNG. He quickly grew fond of the country because his flat was soon adorned with traditional Sepik face masks, feathered head-dresses and other artifacts. the path of economic prosperity for Papua New Guinea. He instilled strong work ethics for staff, build up their technical skills and knowledge, introduced a new thing called ‘desk-top computers’ to staff, and encouraged training, both in-house and externally. He also created a conducive working environment. He fondly talked off ridding the department of drunkards, mischiefs and the likes, even when warned by others if he knew that the locals may do ‘puri puri’ on him! And he did do that for one or two staff, transferring them to other Departments where they best fit in. But he also helped changed one or two others who seriously lacked work commitment and were always out partying on weekends but whom he thought were promising young men who could change, become disciplined and contribute meaningfully to the work of the Bank under his constantly serious and watchful eyes. 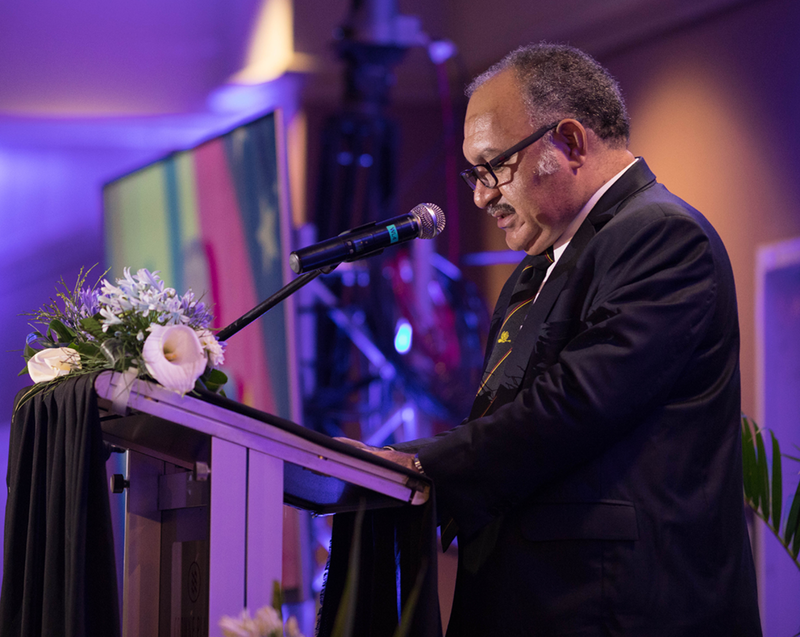 His strong and consistent style of discipline and persistence in seeing changes in young Papua New Guineans resulted in one of the ‘drunkards’ changing his life style altogether and became a well groomed and disciplined officer who now holds one of the Assistant Governor positions. Moreover, late Dr Weiss and his wife Carmella attended this officer’s wedding back in 1993 and their presence made his day. As with anyone bringing in new changes, he had opposition. When other consultants at the central bank presented obstacles, he gave Sir Henry the ultimatum – ‘you brought me here to assist develop the Bank, so either they go or I go’. To his credit and one that worked out well for BPNG and PNG, Governor ToRobert stood by Dr. Weiss. And as they say, the rest is history. With a free hand, Dr. Weiss set about building up the Economics department. One of the many great values of Dr Weiss was foresight, the greatness to see ahead what we the staff struggle to perceive holistically. Sometimes patiently, many times angrily, but always, he calmly helps us to navigate out path to our eventual destinations. His guidance on the foreign exchange market, management of the foreign exchange reserves are some of his work that are priceless. He also set up the banking supervision function of BPNG, bringing in an IMF TA to assist. In later years, he established the research unit of the central bank, which eventually became the Research department. He got in touch with the Overseas Development Institute (ODI) of London for bright young post-graduate students with masters’ qualifications from UK universities to work at BPNG under a 2-year fellowship. BPNG’s and PNG’s first ODI fellow started with Martin Ashworth in 1989. Dr. Weiss approached the University of PNG’s School of Economics to send him the top students in their final year as well as those doing the honors program. He saw the Bank as a learning institute. He sent staff off to take courses on computing skills, report writing and financial analysis. He brought in lecturers from the IMF Training Institute in Washington, DC for an in-country financial programming & policy course at the then Travelodge hotel and experts from Bank of Finland and others for a financial analysis course at the then Bankers College. In 1991, he initiated arrangements with the Reserve Bank of Australia for an RBA scholarship at Australian universities for post-graduate studies of BPNG staff. The first recipient of the scheme went in 1992. Dr Weiss instituted significant, memorable and effective changes in the central bank by addressing perceived weaknesses in staff capacity, policy & procedure and confronted them with confidence to bring about changes. He modernized work processes and empowered national staff by introducing changes to how things were done – he replaced qualitative, anecdotal work with quantitative analysis in areas like the bank’s business liaison survey, used reserve money framework for monetary policy formulation, compiled GDP estimates and forecasts with NSO staff, and introduced systematic and high quality editorial standards for publications such as annual reports and QEBs. 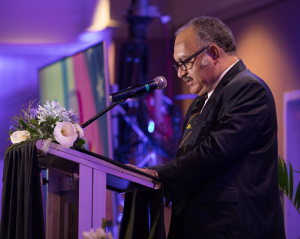 In the process, he proved his critics and predecessors wrong in showing that Papua New Guineans were indeed capable of doing things on their own given the right guidance. He achieved the changes he wanted, along the way facing many challenges during the trying economic cycles faced by the country. He built up important contacts within key Government agencies such as Treasury, Finance, Planning, IRC and NSO, with the banks and other financial institutions as well as with the commodity boards and private sector organizations. He also established contacts with international institutions and organizations that BPNG could draw on. At the end of the year, his secretary would hang up the Christmas cards he received – the stack rivalled those received by the Governor. Dr. Weiss was not someone who sat behind a desk. He went out with staff on the business survey trips, took along staff to meetings, asked them to take the minutes and got actively involved in technical work, doing the number-crunching work as well as the policy discussions. He had a hands-on approach to everything and ‘walked the talk’, as they say. In 1989, he just flew out of Arawa after conducting the BLS in Bougainville when the first electricity pylons were blown up, signaling the start of the Bougainville crisis (civil unrest). Dr. Weiss had a photogenic memory. He recalled comments and statistics down to the minute details. On most occasions, staff struggled to recollect facts and figures and would only nod their heads in agreement (or disbelief!) with the details he seemed to recall with ease. His solid academic grounding and long experience working for the Board of the US Federal Reserve and Bank of Israel meant he was able to blend both the theoretical and practical aspects of issues he was dealing with, especially on financial matters. He was also stern in his approach to work and in getting his point of view across. You know when he starts to say, ‘young man’, that you had to back off from a confrontation or face his glare and wrath! He still calls some of us ‘young man’ even when some of us we have grey hair after all these years in the Bank. We would often refer to him as the Old Man- out of sheer respect for his age, caliber and friendship. Over the years, Dr. Weiss participated in some of the most momentous periods of PNG’s economic history. He was involved with the floating of the kina exchange rate and designing the mechanism for a free-floating regime (1994), cleaning-up (revitalization) of the savings and loan societies movement, negotiation of IMF assistance through Stand-by arrangements (1990 and 2000), clean-up of PNGBC and its eventual sale to BSP (2001), reforms to the financial sector with revamping of key legislations including the Central Banking Act 2000 and the Banks and Financial Institutions Act 2000 that granted increased autonomy to BPNG (2000), the Microfinance and Employment project, between PNG Gov’t and ADB, with the Wau Micro-bank (2001-02), and liberalization of foreign exchange control on current account transactions (2005). At the Bank of PNG, his work included development of the domestic securities trading system, the European Investment Bank’s Global Loan Facility for small and medium sized nationally owned businesses (1991), two editions of the ‘Money and Banking in Papua New Guinea’ books (1998 and 2007), editorial review of BPNG’s research working paper series (2006), new monetary policy tools and reporting format – kina auction facility (from 1994), review BPNG’s strategic plan (2012 to 2015) and BPNG Staff Housing scheme. Dr. Weiss was a tough negotiator with the ability to present facts and figures and convince others. His skills came to the fore during the negotiations for the IMF stand-by program for PNG in the 1990 and 2000, which was done with the World Bank structural adjustment program and donor assistance. Prior to that, he negotiated a foreign currency swap with the Australian Government. In later years, he negotiated the investment management agreement for the outsourcing of BPNG FX reserves to external fund managers, finalized the Credit Suisse syndicated commercial loan and worked on a debut sovereign bond issue for PNG. He was meticulous in financial matters. As many of the external fund managers found out during the six-monthly review where they had to explain and defend their performance against peers and the benchmark. Many dreaded facing Dr. Weiss’ scrutiny and would ask in advance if Dr. Weiss was in the BPNG review team. When Dr. Weiss was re-engaged by the Bank of PNG as a consultant, he undertook brain-storming sessions with staff. A topical issue was selected and Dr. Weiss would facilitate the sessions, covering matters ranging from liberalization of exchange control to super-regulator of the financial system to monetary policy management. With management, the sessions covered leadership, management structure and roles of the central bank. Loosely based on the Chatham House Rules, everyone in the room had to voice their views, opinions or observations during the sessions. You do not have to have prior knowledge of the topic, which meant many staff dreaded the sessions and sweated a lot when their turn came around to speak! But that was Dr. Weiss’ way – no matter how junior a staff was, he always listened to their views. Those views were not ignored. For instance, when discussing the management structure of the Bank, the concept of assistant governors used by other central banks was brought up. He took that on and made it happened. We now have 4 assistant governors in the Bank of PNG. He had over the years groomed the careers of many in central banking, many of whom now hold senior positions. He had faith in a lot of the young officers and took them on as young novices. He became not only a mentor but a father-figure to them. He also had passion for life and took a keen interest in the affairs of those around him. He contributed towards the Bank’s Staff Housing Scheme Policy, and encouraged many staff to build or buy their own homes under the staff housing scheme so they can have an asset for life after leaving the Bank. Though tough, he had a softer and compassionate side. When the first national Deputy Governor, Nick Bokas, died in 1990, he made sure everyone in the department was at the airport to meet the casket upon arrival from Australia and to attend the funeral service at St. Mary’s cathedral. He showed similar emotion with the passing of young officers – as was the case with late Hera Hetahu. Dr. Weiss also spent time at the Treasury department, working on the national budget and assisting with fiscal policy natters. Some from his days at Treasury still refer to him as the ‘tank commander’. This was referring to his military service when he served in the armored corps division of the Israeli Defense Forces during the six-day of 1967, serving at both the Golan Heights against the Syrians and at the Sinai Peninsula against Egyptian forces. His long-lasting relationship for PNG was, as he often said, ‘because of his love for the people and the country’. 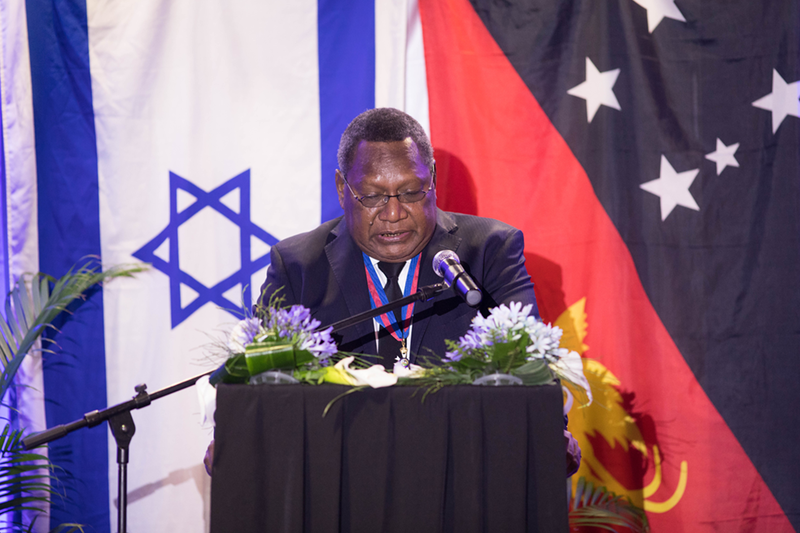 It is perhaps not surprising that in 2007, he was appointed PNG’s honorary consul in Israel, a job he cherished as he worked on expanding the PNG-Israel relationship. ‘I sign my own visa to come to PNG’, he fondly says. returned and mails responded to. His longevity of life could be due to his busy-ness. His work ethnic was phenomenal. His clear analytical and critical thinking, attention to detail, and intellectual capabilities did not wane with the passing of time. Even when many his age would have retired, Dr. Weiss kept on working and helping others. In fact, as he got older, he got more engaged with his work and only on his doctor’s orders did he cut back on his travels. ‘Hard-work does not kill you’, he would often say. That, perhaps is the secret to his long life. 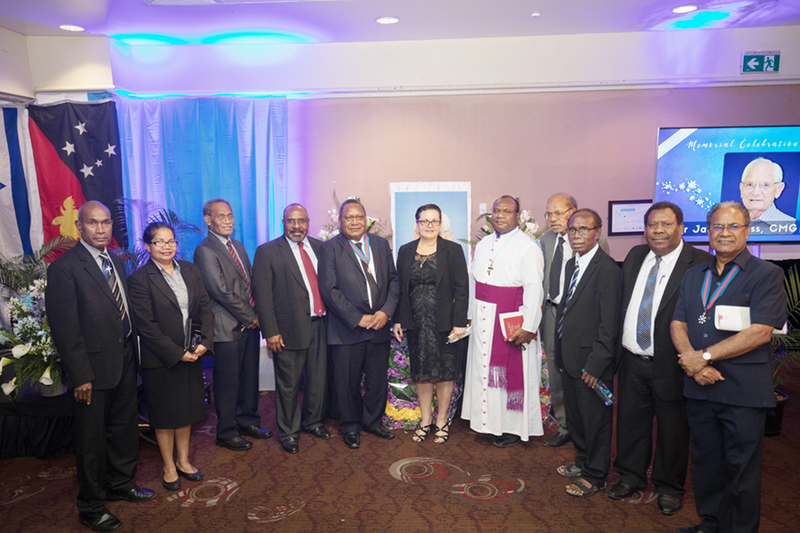 The current high standing, integrity and solid reputation of BPNG is due in no small part to the efforts, dedication and commitment of late Dr. Weiss. This is also seen in the large number of staff he mentored and groomed who now hold senior positions in BPNG and elsewhere. Where the BPNG is now at is truly a testimony and legacy of late Dr. Weiss. Now that Dr. Weiss is gone, I think of the unfinished business at the Bank of PNG – remaining work on the operations of the foreign exchange market, the monetary transmission process, the debut sovereign bond issue for PNG and others. We may think of these as unfinished business for Dr. Weiss. But really, these are unfinished businesses for us – those he mentored and groomed over these past many years are now ready for just this moment. It is our task now to complete the work of Dr. Weiss and build on from where he left off. Just like he said at his going away farewell party at the 5th floor, Bank of PNG, ‘it is now time for all of you to spread your wings and fly’. Yes, it is time for us to go out on our own, spread our wings and soar. Dr. Weiss has given the training and done his job, what we do from here on is ours to decide. The baton has been passed on. We will lovingly remember the countless achievements of Dr Weiss. He leaves behind a legacy; he gave us, staff of Bank of Papua New Guinea the opportunity to create, develop and excel ourselves in what we do as the central bank and for Papua New Guinea. He helped us to believe and hope inside ourselves. The Bank of Papua New Guinea will carry the seeds of greatness in its roles and functions; thanks to a man who thought we could. Farewell Dr. Weiss and rest in peace.